PLUS TWO ACCOUNTANCY TAMIL MEDIUM STUDY MATERIALS DOWNLOAD | D.SRINIVASAN | 12TH ACCOUNTANCY 4TH LESSON FORMULA | D.SRINIVASAN. M.COM, M.ED., P.G.D.C.A, P.G.D.I.T, K.G.S. MATRIC. HR. SEC. SCHOOL. TIRUPUR-1 12 – ACCOUNTANCY CHAPTER – 4 RATIO ANALYSIS I. LIQUIDITY RATIOS 1. CURRENT RATIO: CURRENT ASSETS CURRENT RATIO CURRENT LIABILITIES. PLUS TWO COMPUTER SCIENCE TAMIL MEDIUM QUARTERLY EXAMINATION SEPTEMBER 2017 ONE MARK ANSWER KEY DOWNLOAD | T.DHANASEKARAN | QUARTERLY EXAMINATION-2017 ONE MARK ANSWER KEY - T.DHANASEKARAN,COMPUTER INSTRUCTOR, ZAMINDAR'S HIGHER SECONDARY SCHOOL, THURAIYUR TK, TRICHY DT - 621010. 11TH COMPUTER SCIENCE CHAPTER 4 TO 6 IMPORTANT TWO MARKS AND FIVE MARKS STUDY MATERIAL | D.EASWARAN M.SC B.ED COMPUTER INSTRUCTOR . RAMJAYAM VIDYAA MANDIR MATRIC HR SEC SCHOOL. CUMBUM .THENI DISTRICT. CELL:8760324704. 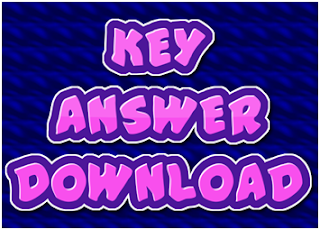 Way to Success 10th English Quarterly English II Paper Answer key Download | rkchinnappan@yahoo.com | CLICK HERE | SSLC QUARTERLY EXAM 2017 - ENGLISH II Time:2½hours Marks:100 SECTION – I (Non – Detailed: 35 Marks) 1. Fill in the blanks with the appropriate phrases: 5 (a) b) amazed (b) e) muddy bank (c) c) no response (d) a) bedraggled (e) d) survive 2. Read and identify the character/speaker: 5x1=5 a) Narrator b) Shelly c) Rob's father d) Sam / Goldy / The dog e) Rob's father 3. Match the following appropriately: 5x1=5 a) powerful torches b) an apostle of Jesus who betrayed him c) a retired military general d) an attempt to trace the owner e) a popular song 4. Choose the correct answer: 5x1=5 i) b) 2.15 p.m ii) a) Tammy Ruggles iii) a) his daughter's horse iv) c) a priest v) a) with his First Aid Kit.